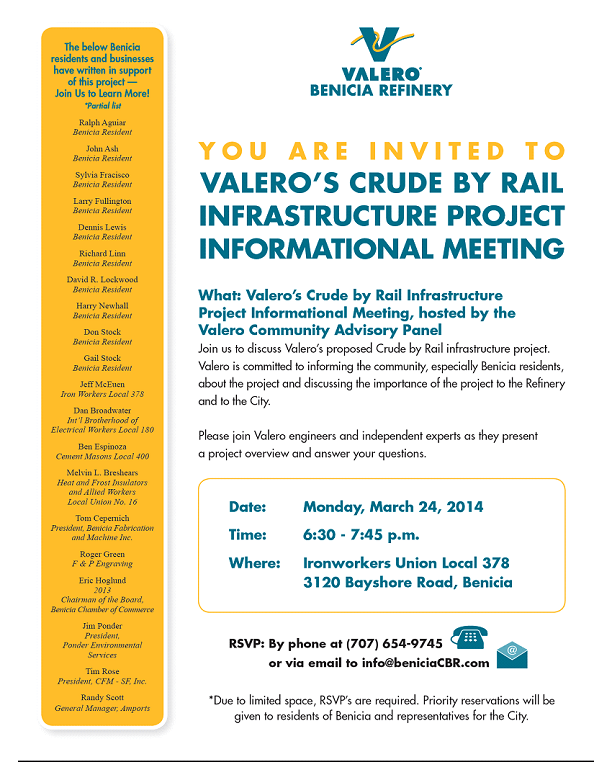 Valero is holding a meeting to promote and interpret its Crude By Rail proposal. Monday, March 24, 2014, 6:30 – 7:45 p.m., Ironworkers Union Local 378, 3120 Bayshore Road, Benicia. Get a “balanced perspective” by hearing Valero explain itself. Ask your questions. RSVP required: online at www.beniciacbr.com/ or by phone (707) 654-9745, or email to info@beniciaCBR.com.